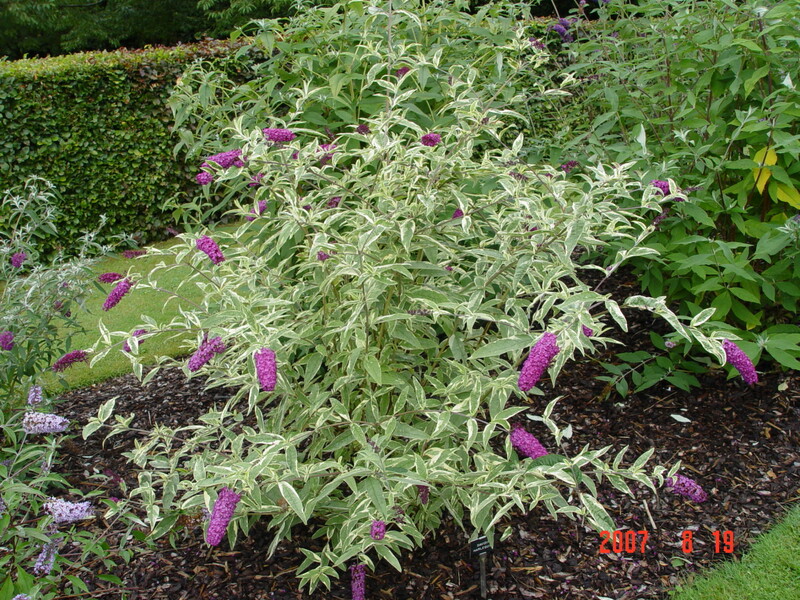 This is a shrub that was a sport of B. 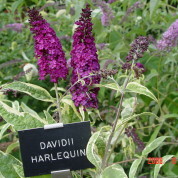 ‘Royal Red’. 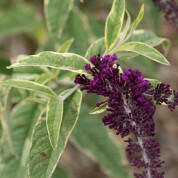 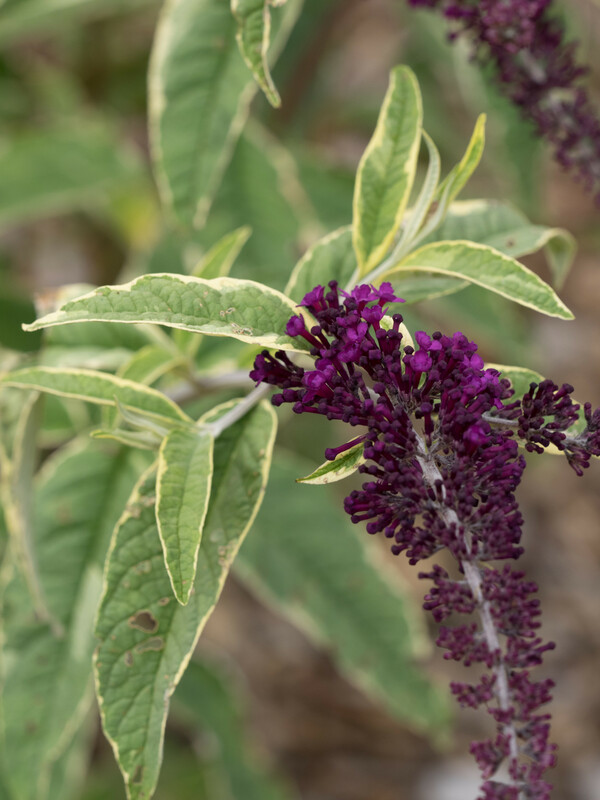 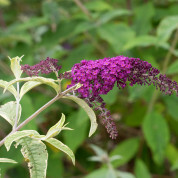 It bears panicles of fragrant red-purple flowers with yellow and green variegated leaves. 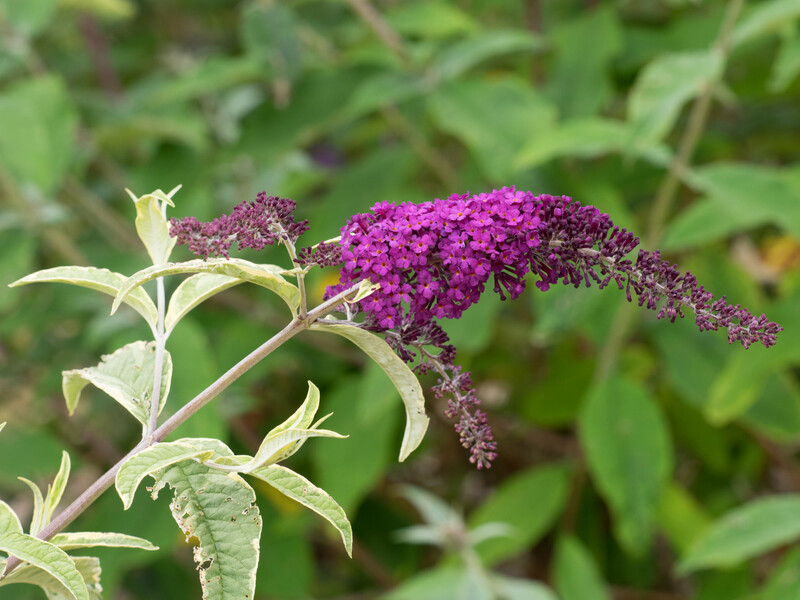 Possible better is B. davidii ‘Santana’. 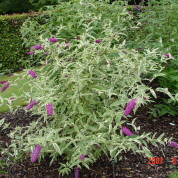 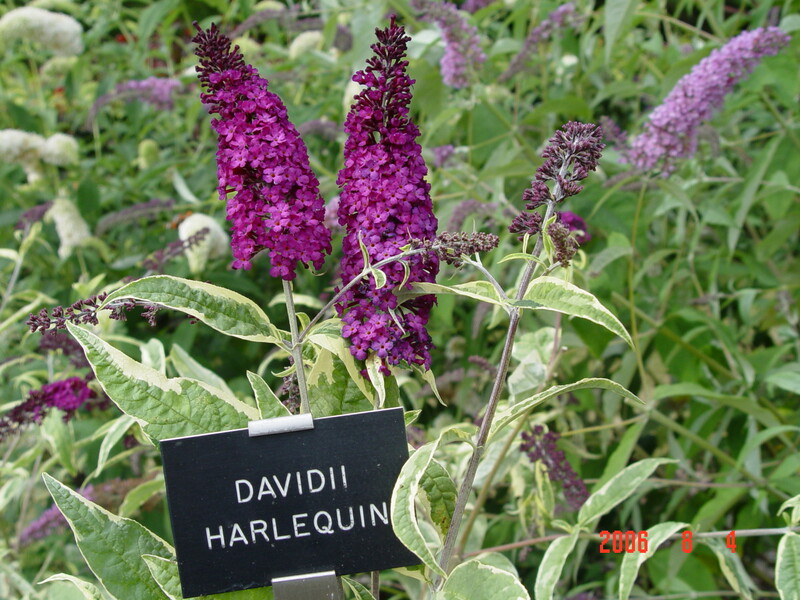 This cultivar has been in cultivation since 1964 having originated as a sport of B. davidii ‘Royal Red’.